 Blast It Clean has a good reputation in disaster restoration as we are capable of reducing business downtime up to 40%. As a long-time partner of Servpro, Blast It Clean aids clients making use of our expertise in baking soda blasting and fire damage restoration. The fire restoration project began on Monday, September 24th. After a site walk-through, our operation professionals separated the job site into three sections: the exterior walls, the main warehouse interior, including burnt walls, ceilings, and an attic. The attic fell into the confined space category, requiring extra caution during handling. Soda removes soot, char and burn off wood surfaces. The total square feet of this project summed up to 32,280 and the final time frame was set at fifteen days, whereas our team completed the job in ten days! “This is a great project because it covers so much of our expertise. Baking soda is definitely the best choice in this case.” Said Ian Hughes, Blast It Clean’s Operations Manager. Since the restoration of The Statue of Liberty, baking soda abrasive blasting continued to gain popularity in the blasting world, especially when traditional sandblasting gradually exited the stage as sand caused silicosis among blasters. The baking soda medium is effective in removing post-fire residues, soot, and carbon from a variety of surfaces without causing secondary damages to the structure. Baking soda cleaning is also an intensified method that exposes the integrity of the structure for engineering purposes. In this project, we blasted over 30% of the structural surface in order for an engineer to conduct further testings. Since this project included exterior work, the operation team set up a filtered air ventilation system to create negative air flow minimizing exposure to the outside elements of the building during the process of baking soda blasting. “You see it now and you see clean ceilings and clean walls. But you need to imagine how they were when they were all burnt black. Our guys did great out there.” Ian said proudly. To satisfy the safety requirements for this project, all operation members fulfilled confined space training. We also provided ladders, scissor lifts and harnesses for their protection. Team members evaluating the site. At the end of the project, Blast It Clean provided a final detailed clean to remove all the final traces left over from the cleaning process. These traces include blasted soda, soot and/or char removed from the surfaces and other debris produced during baking soda blasting. “The goal here is to return to this project assuming nothing as ever happened,” said Rick Salgado. Throughout this project, our operation members displayed proficiency and expertise in baking soda blasting. We appointed members who were most familiar and experienced with fire damage restoration to ensure the quality of our service.